Search for Muons above 33k ft. Listen for the distinct pop and watch as a small piece floats beside the payload. The pop is then replayed and slowed down so you can better appreciate the forces at 90k feet! 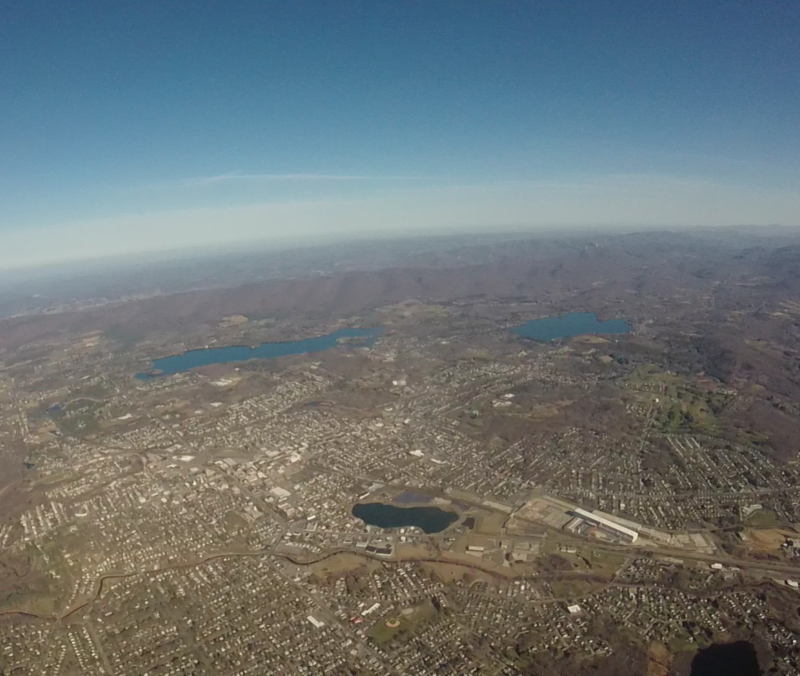 Even though our GoPro died before landing, you can still watch the take-off and top of the ascent! This quick overview gives you an idea of what goes on during a space adventure. For those that want a complete overview of all the different heights, but don't want to sit through the complete video. We've marked off flying altitude, 75k feet, and max altitude. The entire flight lasted over 2 hours, but our GoPro batteries unfortunately died before the final landing. Watch the entire video up until then! Elevations are labeled periodically along the way, to provide a frame of reference.